Too few companies get clear sustainability performance messages out to their investors and one of the main barriers is the internal dynamic between Sustainability and IR departments. This is a key finding from SustainAbility’s latest research, Closing the Sustainability-Investor Relations Gap. The research makes the case for stronger internal engagement between Sustainability and Investor Relations (IR) teams to enable proactive, integrated communications to investors. While investors are increasingly integrating consideration of sustainability or Environmental Social and Governance (ESG), issues and metrics into their decision-making, more progress is required.. By closing the gaps between IR and Sustainability, companies can accelerate information flow and drive capital to more sustainable businesses. The report examines each gap in detail, exploring the reasons, the pain points and solutions that have been proven to help close the gaps. We include case studies in which companies have successfully applied the solutions to build stronger internal collaboration on investor communications. We encourage practitioners to explore our findings, implement the solutions, and continue their work integrating sustainability into investor communications to enable the shift to a more sustainable financial system. 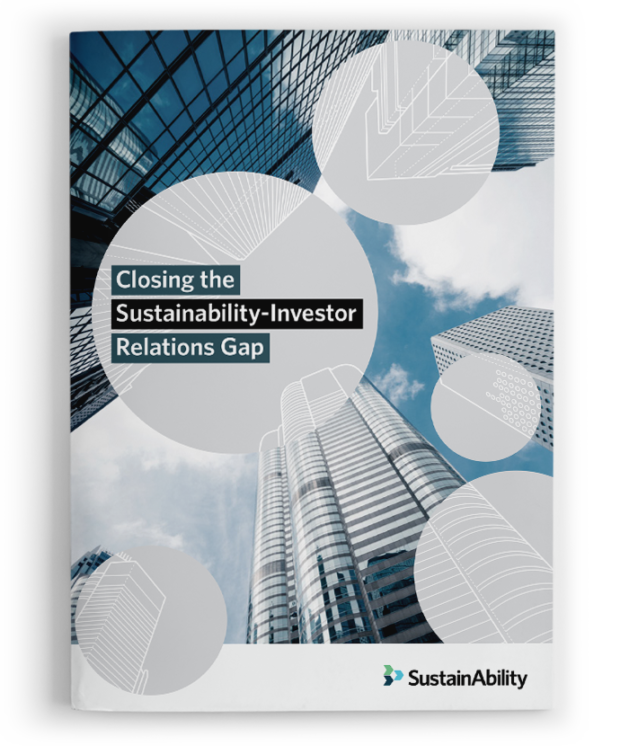 Hey Buddy!, I found this information for you: "Closing the Sustainability-Investor Relations Gap". Here is the website link: https://www.duurzaam-ondernemen.nl/closing-sustainability-investor-relations-gap/. Thank you.